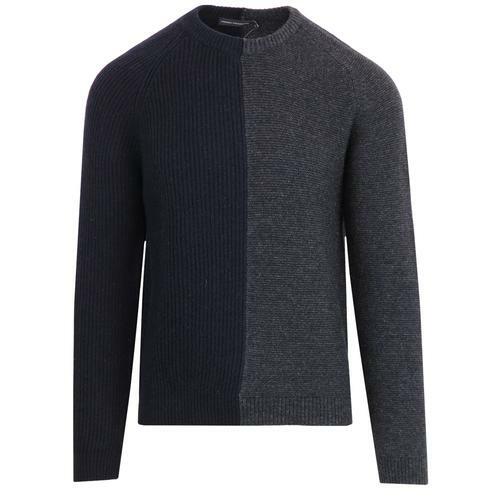 MADCAP ENGLAND 'JONES' MENS RETRO SIXTIES BLOCK STRIPE ATOM NECK MOD JUMPER (Black/Grey). Back to the crowd at Alexandra Palace (1964), Brian Jones, guitar in hand, playing the 'All Night Rave' in front of a packed house. The block stripe jumper, a staple of the Brian Jones wardrobe got another outing on this night and that's the inspiration behind 'Jones'. Madcap England have added their own cool Atom straight neck button placket detail for added Retro appeal. A pure Sixties Mod classic - 'Jones' Block Stripe Jumper from Madcap England. 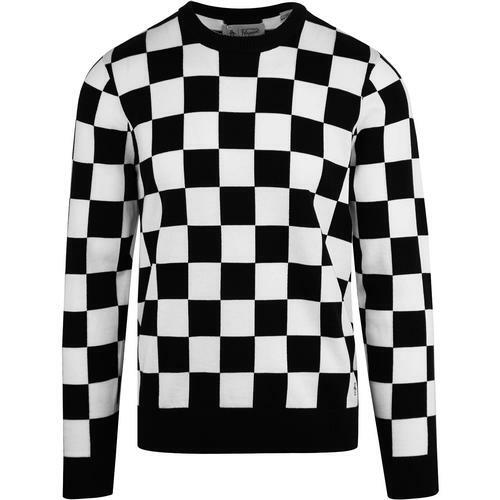 'Jones' Madcap England Mens Retro knitted jumper with awesome Sixties Mod block stripes in black and grey. A cool Indie twist is the neat button placket that leads into a stylish Atom Straight Neck. An unusual and unique neckline that is certain to stand out. An iconic and timeless Mod style re-worked by Madcap England - 'Jones' Retro Block Stripe Jumper. A must have addition to any Mod Clothing collection. 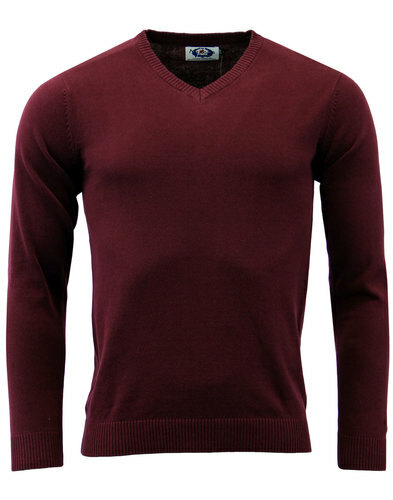 MADCAP ENGLAND 'JONES' MENS RETRO SIXTIES MOD ATOM NECK BLOCK STRIPE JUMPER. 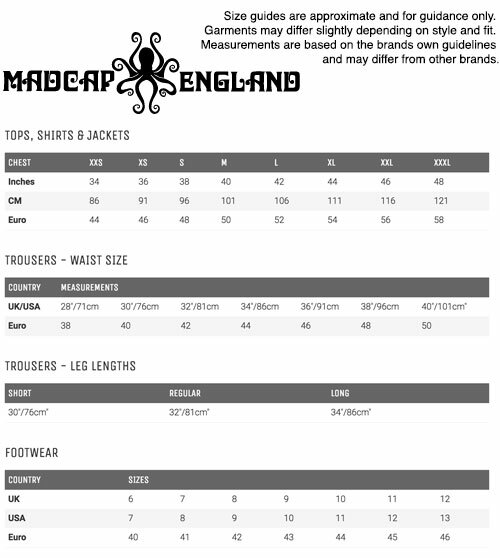 Brand: Madcap England. 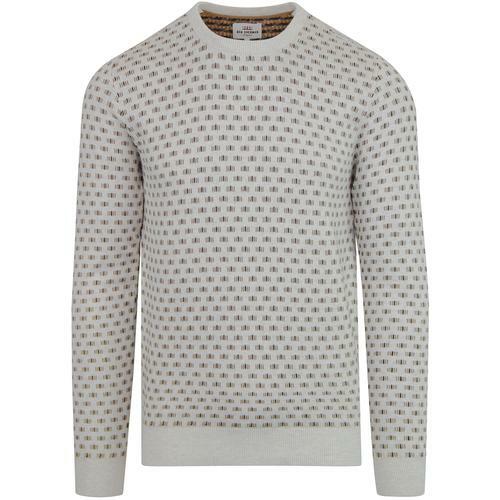 SKU: MC136 'Jones' Madcap England Block Stripe Atom Neck Jumper. 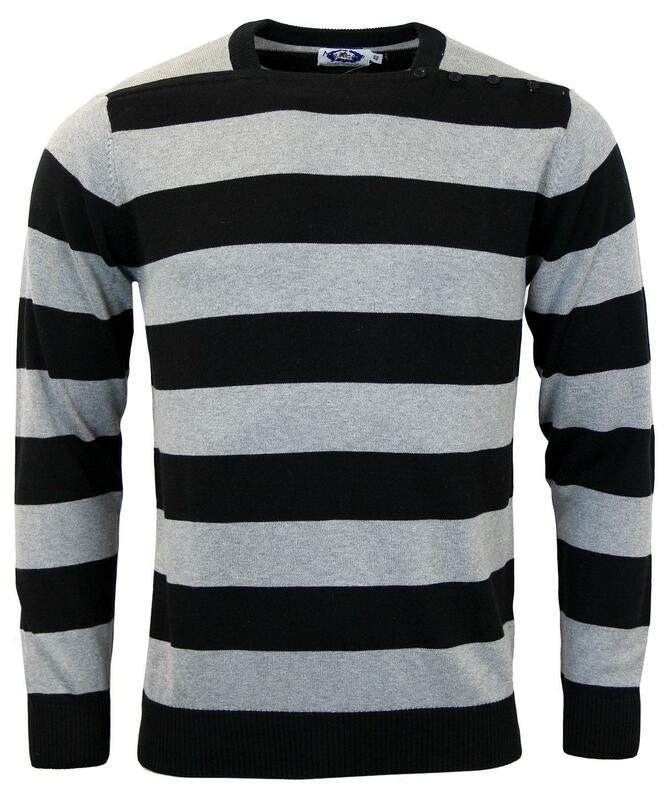 MADCAP ENGLAND 'Jones' Mens Retro Sixties Mod Block Stripe Atom Straight Neck Jumper (Black/Grey).